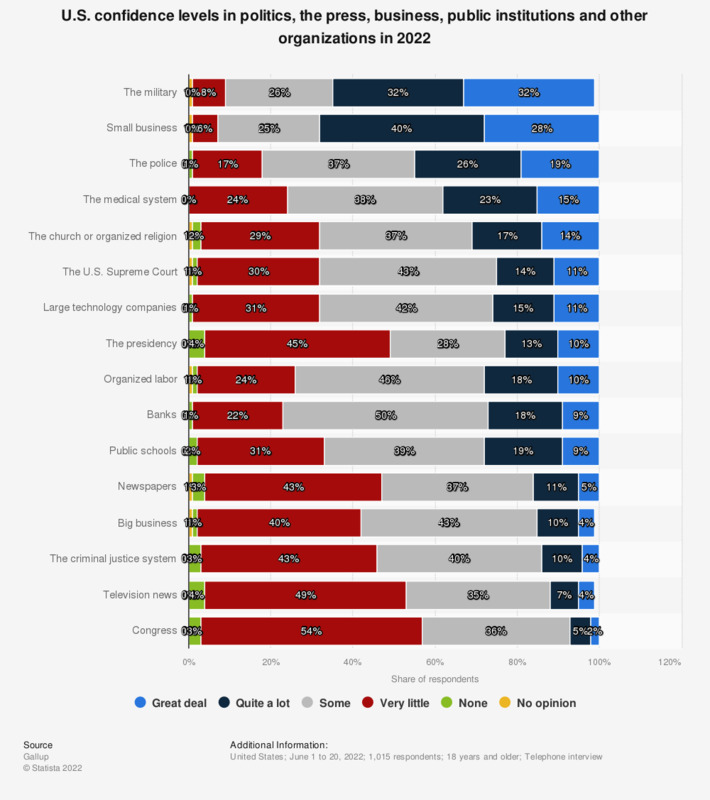 This graph shows the levels of confidence that survey respondents in the United States had for the specified public institutions and organizations as of June 2018. 46 percent of respondents said they had either very little confidence in Congress. Original question: Now I am going to read you a list of institutions in American society. Please tell me how much confidence you, yourself, have in each one; great deal, quite a lot, some, or very little? A certain number of respondents also replied with no answer or unsure. For this reason responses do not all add up to 100 percent. Would you rather enroll your child in a public or a private school?